Although I have now idea who Jan Berthold is, that shouldn´t mean that someone more knowledgeable than me out there, does. 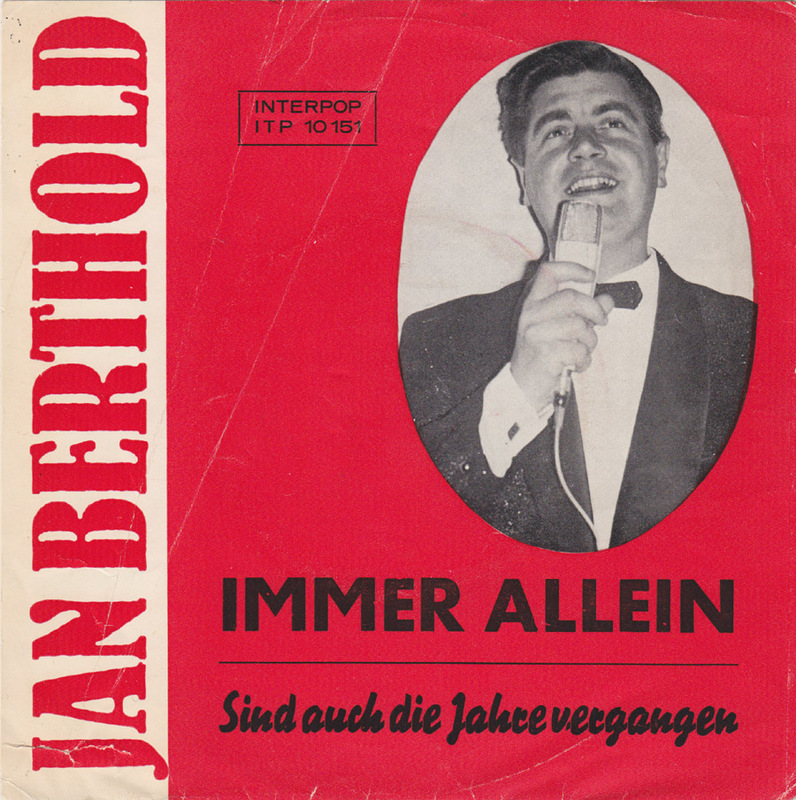 Several people that were connected to the records and artists that I´ve poste have contacted me over the past three years, so maybe over time somebody will come up with some information about Jan Berthold. 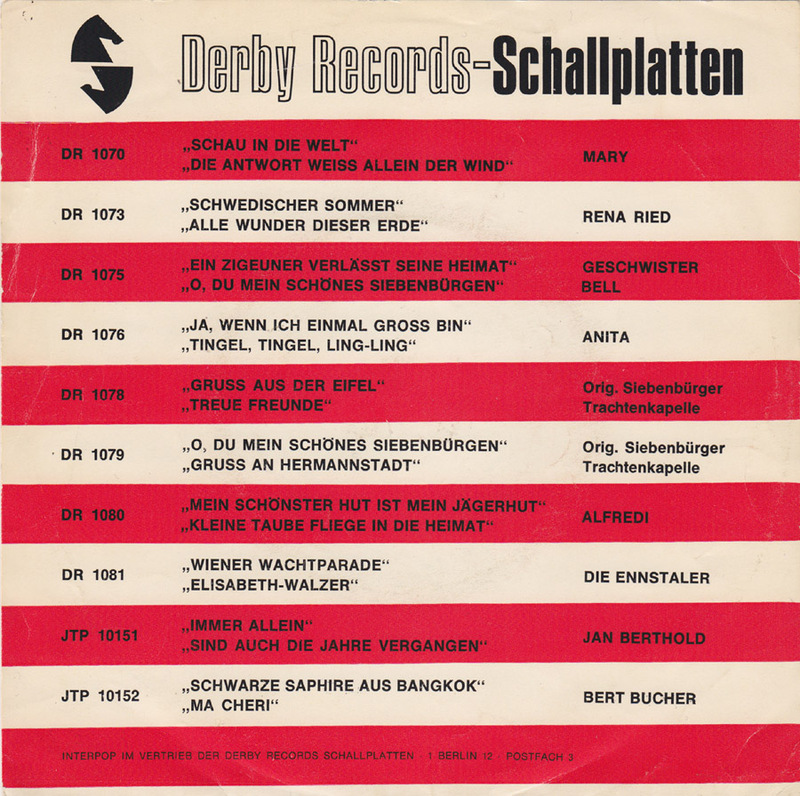 The catalog on the back of the sleeve lists three Transylvanian (Ethnic Germans from Siebenbürgen, Romania) records, so I´m curious if the owner of the Berlin-based Derby record label had any Transylvanian roots. 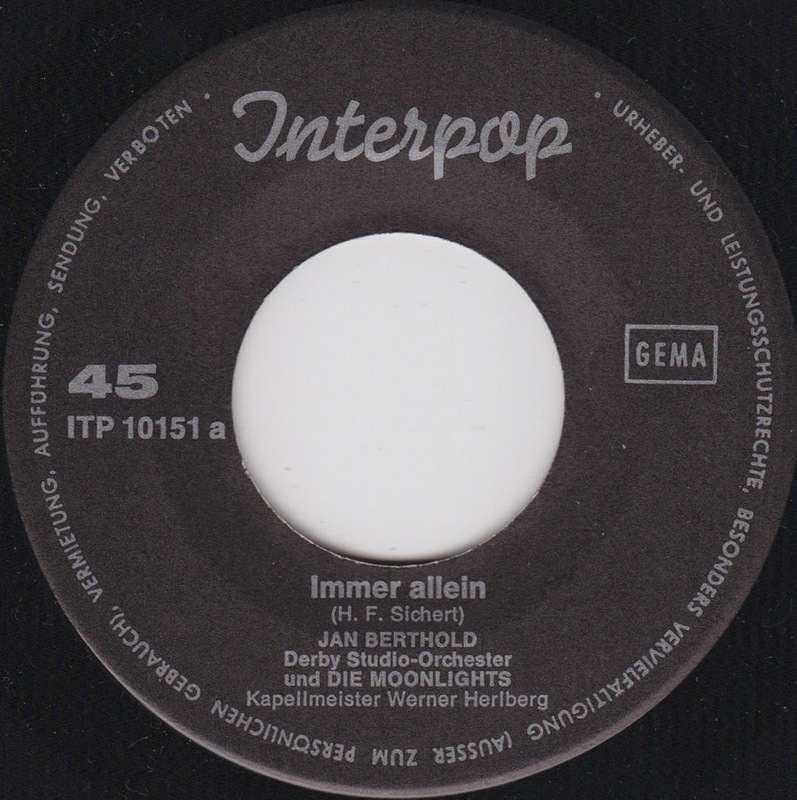 I don´t know any of the artists on the list and I´ve never seen any of the records either, but that´s one of the reasons I picked this one up. It´s another hint about what other stuff there is to discover. I know I´m a little strange, but doesn´t “Schwarze Saphire aus Bangkok” by Bert Bucher or “Tingel, Tingel, Ling-Ling” by Anita sound pretty interesting?